Thousands of books are published every year, and only a small percentage makes the mark that it should.The World Book Day team asked publishers large and small to submit books they thought deserved to reach a wider readership – most specifically those that would make good subjects for discussion, those that don’t merely entertain, but give greater food for thought. From the many submissions received, we have selected fifty titles we feel fulfil the criteria. Each and every one brings something different, refreshing and stimulating. This is an opportunity to vote for your favourite book on the list, so that we can find The Book to Talk About 2009. Voting on the long list will end on 2nd January 2009. A short list of ten titles will be announced on 30th January 2009 and voting will recommence. The winner will be announced on World Book Day - Thursday 5th March 2009. The fifty titles include both fiction and non-fiction. The crime fiction selections include The Bloomsday Dead by Adrian McKinty and Bad Traffic by Simon Lewis. McKinty is a rare writer, one who can combine the conventionally muscular prose of crime fiction with a lyrical flair for language, and the blend is a compelling one. Forsythe is himself a fascinating character, brusque and blunt in his public exchanges, lethal when trapped in a tight spot (of which there are many in this furiously-plotted tale, which loosely follows the path laid down by both Leopold Bloom and Odysseus), yet possessed of a poet's soul during his interior monologues. The violence is graphically etched into the page, as if stamped there by the force of its authenticity, but McKinty never forgets that his first priority is to entertain, leavening the bleakness with flashes of mordant humour. Bad Traffic by Simon Lewis is a rare thing: all three reviews, on the Euro Crime website, are united in their praise and desire to see more from this writer. BAD TRAFFIC is a compelling and page-turning thriller. The main characters are convincingly drawn, and Simon Lewis vividly depicts the cultural and language barriers that Jian and Ding Yi experience. I look forward to further books in the Inspector Jian series. BAD TRAFFIC is a book that epitomises all that is great about the crime-fiction genre. It has a tight plot that unfolds at breakneck pace; it depicts an alien world vividly; there is a range of believable and sympathetic characters; it constantly unsettles the reader; and the events it describes seem as if they could really happen. 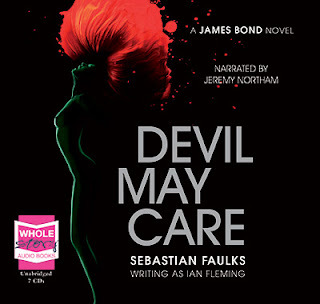 Although the book has strong elements of the noir genre, with its atmosphere of Greek tragedy in which events and characters fulfil the dictates of fate and there is an absence of sentiment, the book is by no means boiled as hard as noir often can be - hope and humanity are there to be found, like specks of jewels glistening in the depths. I found this book hugely entertaining and a real page turner and I look forward to reading the next books of this deeply, atmospheric thriller writer. offering free books to the first 25 voters who post a comment about Bad Traffic on the Spread the Word website. All you need to do is email the comment and your postal address to nat@sortof.co.uk. Maria Rejt at Pan Macmillan has bought three novels in a new historical crime series set in Moscow during Stalin’s Great Terror. 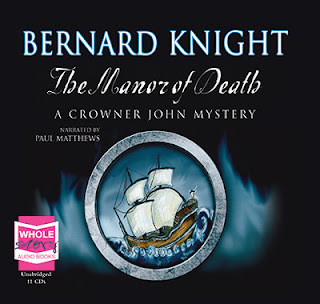 Rejt paid a six-figure advance at auction for British and Commonwealth rights (excluding Canada) in the series, written by William Ryan, doing the deal with Andrew Gordon at David Higham. The series features Captain Alexei Korolev who in the first novel, The Holy Thief, is given the case of investigating a serial killer who is on the loose in Moscow, just as Stalin unleashes his own killing spree. The Holy Thief will be published as a lead title on the Macmillan list in early 2010. The latest in the Spartapuss series will be out next month. This is the fourth in the series and I I've blogged a couple of times about the earlier books here. 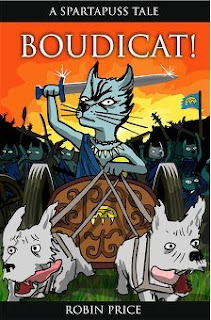 Boudicat is the fourth title in the Spartapuss series. It’s a ‘must read’ for kids aged 8 + and cat lovers of all ages. Queen Boudicat has declared war on Rome and wants Spartapuss to join her rebel army. Our ginger hero can’t see how a tiny tribe of Kitons can take on the mighty Feline Empire. But warrior queens don’t take ‘No’ for an answer. Boudicat is not for turning, she’s for burning! There's a limited print run of the hardback (released 17th Nov) and the paperback will be out in April 2009. My ditherings about whether to go to the CWA Ellis Peters Historical Crime Award ceremony on Monday were resolved by a migraine attack so apologies for the delay in reporting the results. As predicted by Mike Ripley, the winner was Laura Wilson for Stratton's War, reviewed here by Mike and here by Maxine Clarke. "The CWA Ellis Peters judging panel has also asked for the following books from their long list to be published in recognition of their merit:"
Read more about why the judges chose these books and the eventual winner at the CWA website. OT: Wiffle Lever to Full! I've just finished reading Wiffle Lever to Full! in which author Bob Fischer visits cult tv and sci-fi conventions the length and breadth of Britain. Bob's aim by the end of the year is to ask a question at a talk. Wiffle Lever to Full! is very funny and nostalgic and though the author's a few years younger than me, I feel I'm from a similar era :-). The title is derived from a phrase that Steven Pacey (Tarrant in Blake's 7) would say in rehearsals when he couldn't remember the dialogue. The official blog is here. 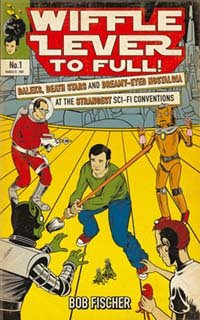 He may not have a TARDIS or an X-Wing Fighter, but Bob Fischer is boldly going where, um, lots of men have gone before. And, to a lesser extent, possibly even a few women. Encountering gay Cybermen, obsessive Janet Ellis fans and Douglas Adams devotees hell-bent on destroying Blakes 7 lovers with water-pistols, Bob embarks on a marathon twelve-month journey around the country's sci-fi and cult TV conventions. Part fun travelogue, part field report, part misty-eyed childhood memoir, Bob freewheels his way from Doctor Who to Discworld, Star Wars to Star Trek and Robin Of Sherwood to Red Dwarf. In space, no one can hear you scream. And don't expect much sympathy in Peterborough, either. Crime Fiction conventions differ from sci-fi conventions in that very little fancy dress is required (a similar amount of drinking seems to be involved though). The BBC website has a print interview with Daniel Craig. Apparently Quantum of Solace is the shortest Bond film so far. Read the interview, here. With privileged access to the cast and crew, Jonathan Ross provides the lowdown on the return of Commander James Bond in Quantum of Solace. On set at 007's spiritual home he meets the actor who's made the role his own, Daniel Craig, plus the actor playing Bond's nemesis, Mathieu Almaric, as well as director Marc Forster. Also, a look at how the iconic Bond character is defined in the 21st century, by everything from his costume design to the film's soundtrack. Newsbeat speaks to Richard Armitage, best known as Sir Guy of Gisborne in Robin Hood, about his role in the show as an agent returning to MI5 after being imprisoned in Russia. To Neville Moir at Polygon, HUGH AND CRY by Shirley McKay, the first in a series of historical crime novels set in St Andrews during the reign of James VI and starring a young lawyer, Hew Cullan. 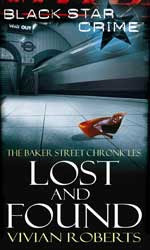 The opening chapters were shortlisted for the 2002 Debut Dagger award. UK and Commonwealth rights from agent John Beaton, for publication in June 2009. Maxine Clarke reviews the paperback of the latest in another one of my must read series, the Lakeland mysteries by Martin Edwards, - The Arsenic Labyrinth - concluding that "Martin Edwards has well and truly hit his stride in his Lake District novels"
and Michelle Peckham is less taken with Lyndon Stacey's Murder in Mind - but she writes "if you like horse-racing, and a little murder mystery on the side then this is for you". Tom Sharpe, 80 this year, has signed up for a new novel with Hutchinson. The Gropes will appear in September 2009. Susan Sandon, MD of Cornerstone (Hutchinson's parent division at Random House), bought the book through agent Sonia Land. I stumbled across this in my local library the other day. First published in English in 2001, it's recently been reissued by Serpent's Tail. The library has classified it as 'crime'. I've not read it (yet). Henning Mankell says: "‘Mia Couto is a white man with an African soul’. A police inspector is investigating a strange murder, a case in which all the suspects are eager to claim responsibility for the act. Set in a former Portuguese fort which stored slaves and ivory, Under the Frangipani combines fable and allegory, dreams and myths with an earthy humour. The dead meet the living, language is invented, reality is constantly changing. 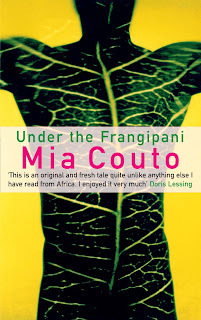 In a story which is partly a thriller, partly an exploration of language itself, Mia Couto surprises and delights, and shows just why he is one of the most important African writers of today. You can read an extract on amazon.co.uk. I've just finished Real World by Natsuo Kirino. This is her third book to be translated into English following on from Grotesque and Out. I certainly found it interesting if a little dark for my tastes. The narrators are teenagers and as it's an American English translation they do sound as if they're, like, totally from California. More on Japanese crime fiction can be found at the Japan Visitor site. A few months ago I gave my opinion of the first two Doctor Who books to be narrated by Freema Agyeman: Wetworld and The Last Dodo. 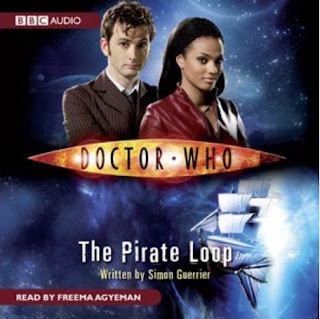 The third book to be read by Freema Agyeman is The Pirate Loop by Simon Guerrier (BBC Audio, July 2008, Ref. 9781408400449) which BBC Audio have kindly sent me a copy of. The Starship Brilliant just disappeared from the radar. Not even the Doctor knew what happened to it. So of course what better place for the Martha and the Doctor to land the TARDIS a few days before the great ship vanishes off the radar forever? They discover that the ship is using an experimental drive and that parts of the ship are in different time zones and the way between the zones is blocked by a time fungus which resembles cold scrambled egg. Fortunately setting 28 on the sonic screwdriver allows them to get through. Neglecting to hold on to each other as they walk through the 'scrambled egg' means the two of them get separated by several hours. Martha arrives into the luxury part of the ship first where she's ushered by a robot steward, Gabriel, into the main cocktail lounge where she meets not just the other paying guests but also some non-paying and unwanted guests: space pirates. Unzipped from their space suits the pirates are revealed to be...badgers. They're named Joss, Archie and Dash and Martha has to use her brains and charm to keep them from shooting her and the rest of the passengers. Meanwhile, the Doctor arrives in the same area as Martha, three hours later and has to track down his companion, save the ship from the pirates and resolve the time zone discrepancies. The story cuts between Martha's arrival and the Doctor's until they are reunited for the final resolution to the mystery of the Brilliant. The Pirate Loop is a fabulous listen. It's both funny and exciting as well as shocking in parts. It's a pacey story, full of action and I didn't want it to end. Simon Guerrier successfully captures the Doctor and Martha's personalities from the tv series, aided by Freema Agyeman's superb performance. Freema's emulation of the Doctor's manner of speaking is extremely good, even better than the two previous outings and she utilises a wide range of voices for the supporting characters, including the upper-class passenger Mrs Wingsworth, the gruff badgers, the monotone Gabriel and the softly spoken Starship Captain Georgina. 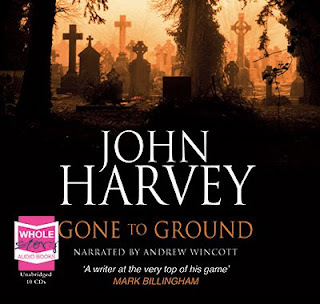 Freema's next audio book narration is of Martha in the Mirror which forms part of a box set which includes Snowglobe 7 read by Georgia Moffett and The Many Hands, read by David Troughton, and was released earlier this month. More posts on Doctor Who and Torchwood can be found on this blog, here. ITV3 is to launch its biggest ever ad campaign to promote the UK debut of Life, the US show starring Band of Brothers actor Damian Lewis as a cop readjusting to life after 12 years of being wrongly imprisoned. The marketing push will include a TV promo, which will run on ITV1, ITV3 and ITV4, as well as a wider press and poster campaign. This is the first time in ITV3's four-year history that a TV show has been promoted using commercial advertising space outside of the broadcaster's own airtime. A poster campaign will kick-off next week in London and the south-east, followed by press ads in seven national and two regional dailies that will appear the day before the first double bill of Life airs on ITV3 on Thursday October 30. Watch the trailer here and earlier posts about Life, can be found here. I've made a start on updating the News page on the website which has been a bit neglected due to time constraints. I've been through the Guardian and Independent so far and made a start on the Telegraph. See what's being reviewed in the national press, here. and Terry Halligan reviews The Art of Remonstration by Alan Miles the second in the Jim Diamond series. A series of eight weekly episodes featuring the 8th Doctor (Paul McGann) began yesterday on Radio 7. The first episode, Dead London, can be listened to on iplayer for 6 more days. Boys and their toys. Lucie and the Doctor get a taste of testosterone - as well as murder. Paul McGann and Sheridan Smith star. 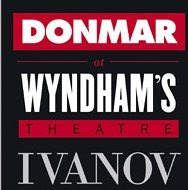 The weekly reviews update has been delayed a bit as Petrona, Petrona's daughter and I took in Kenneth Branagh and co performing Ivanov this afternoon. I enjoyed it hugely and found it more comprehensible than Thursday night's Love's Labour's Lost, though that had David Tennant :-) which compensated for when I couldn't understand or hear the dialogue. There's a round-up of reviews of Ivanov on the BBC website. 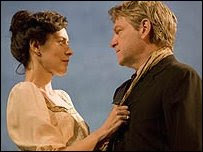 The same site also has a 9 minute interview with Kenneth Branagh (recorded before he was forced to withdraw from directing Hamlet). About half way in there's a bit about the forthcoming Wallander series and Henning Mankell plus a clip from the show (one of the actors featured is also in Ivanov). Where are Tartaglia and Donovan based? Which of the following Scandinavian crime writers also sets their books in Oslo? An international event featuring writers of crime and mystery. Famous names in the world of ‘noir’ will be discussing the issues in a small medieval town perched on top of a mountain in one of the most beautiful areas of Italy. Andrew Taylor, Laura Wilson, R.N. Morris, and Maxim Jakubowski are coming over from England. Italian specialists Patrick Fogli, Simone Sarasso, Guglielmo Pispisa, Diego De Silva, Ben Pastor and the Kai-Zen writing-team will be talking with UK literary agent, Leslie Gardner, and crime editors from Marsilio, Faber & Faber, Robin and Einaudi. You can see the full list of sessions, written in English, on Michael Gregorio's website. Euro Crime has reviewed the latest book by Michael Gregorio - Days of Atonement. He's married the Vicar of Dibley, killed Maid Marian and now Richard Armitage is entering the world of espionage for series seven of the BBC's slick spy drama Spooks. The Leicester-born actor joins the cast as Lucas North, an MI5 agent who has spent eight years detained in a Russian jail. Digital Spy caught up with Richard to discuss following in the footsteps of Matthew Macfadyen and Rupert Penry-Jones, taking on dangerous stunts and his reluctance to off Robin Hood's iconic leading lady. When I started Euro Crime, the core information I wanted to relay was authors plus their titles in order - a UK version of the lamented bookbrowser site and the award-winning Stop You're Killing Me Site - with a British and European focus and which listed all books that had been published by an author irrespective of where they had been published. For example, with the advent of the bookdepository website with free postage (to anywhere), fans outside of the UK no longer have to wait for UK books to be published in their country of residence. On Euro Crime, the Books link takes you to authors and their bibliographies. On an author's bibliography page, there is a link to the author's website (if available) plus links to any reviews written by Euro Crime or RTE. 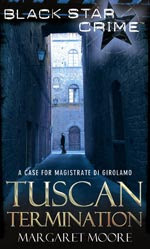 The Reviews page is a summary of all the reviews written by Euro Crime reviewers. This is updated weekly with the new ones at the top of the page, this year's below that and then the rest are listed further down the page under 'review archive'. The Authors page is a straight list of all the author's websites that I've come across. Another useful by-product of the database is the New Releases page which lists what's coming out in the next year or so. The other pages, I update when I get time: awards, news, events, shops, discussions and links. What I'm looking for is advice and tips on how site visitors can find the information they require more easily. I think I need to rename and reorder the list on the sidebar but does something more fundamental need to be done? 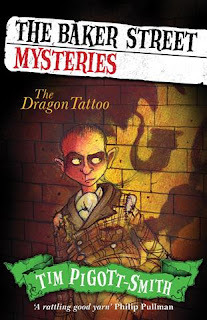 Aimed at 9-12 year olds, The Dragon Tattoo appears to be the first in a series of Baker Street Mysteries, written by Tim Pigott-Smith. The Dragon Tattoo was published in August by Hodder. Sherlock Holmes has disappeared. 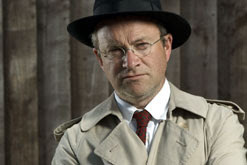 Billy Chizzell dreams of hitting the headlines: YOUNG HERO LOCATES MASTER DETECTIVE! Billy's search takes him to Limehouse and an encounter with evil. Rescued by Sam Wiggins, Billy agrees to help Sam stop the plans of the infamous Dragon Clan of Shanghai to spread their criminal activities to London. Pseudonymous author of Amberville, Tim Davys' next three books in his Mollisan Town Quartet, LANCEHEIM, TOURQUAI and YOK, translated from Swedish and once again involving stuffed animals behaving badly, to Jeanette Perez at Harper, for publication in March 2010, by Susanna Einstein at LJK Literary Management (world). I've mentioned before the excellent French crime series Spiral which was shown a couple of times on BBC4. There are rumours that the second series will be on in the autumn (though it's autumn now, so...). In the meantime, the BBC have released a 2 disc box set of the first series. The going rate is £22.99. The investigation is led by Pierre Clement, a young recently-named public prosecutor, who teams up with Police Captain Laure Bathaud and investigating magistrate Judge Roban - three indomitable characters with their own methods, beliefs, demons and visions of justice. As the young woman's identity and past life are gradually uncovered, it soon becomes apparent that her story is tied to a network of corruption touching the very people charged with uncovering the truth about her. 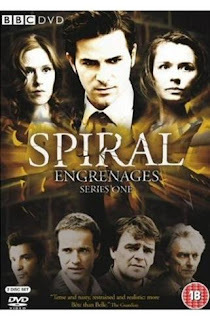 The BBC website for Spiral is here but doesn't mention the next series. I've just returned from listening to Russell T Davies and John Barrowman being interviewed by Caitlin Moran at the Cheltenham Literature Festival. I hope to post a bit more about it but the main new bit of information I gleaned was the name of the baddy in Season 3 of Torchwood. This season is to run (hopefully) on 5 consecutive nights on BBC One, after 9pm, and each episode will end on a cliff-hanger, episode four being the 'worst'. I unexpectedly met Bookwitch and her lovely daughter just outside the building. Small world! and Maxine Clarke reviews the last ever Frost book, A Killing Frost by R D Wingfield which sees Inspector Frost juggling many cases whilst trying to stay put in Denton CID. Few people are really sorry when unscrupulous real estate agent Ettore Fagiolo is found dead in a swimming pool. Not even Hilary Wright, the genteel Englishwoman who discovers the body. Rumours abound he was blind drunk and drowned. Just an unfortunate accident involving a very unpleasant man. Everyone in Borgo San Cristoforo is a suspect, and local magistrate Dr Ruggero Di Girolamo must use his sharp mind to find the murderer amongst the village’s colourful inhabitants. With Hilary’s help, he’s uncovering secrets worth killing for. In the vaults of London’s Baker Street Station, there are thousands of stories waiting to be told. This is just one of them. The other three titles released this month are: Double Cross by Tracy Gilpin (which I think is set in South Africa), Homicide in the Hills by Steve Garcia and Split Second by Alex Kava. Available to download from Talking Book Store is a nineteen minute interview with Richard Armitage talking about the show Robin Hood. It's free to download but you have to register and go through the checkout system. Richard Armitage is also the narrator of the four Robin Hood talking books. More details about them can be found on the bbc shop website. I'm working my way through the new Robert Hale catelogue for Sep-Dec 2008 and it includes details of a new collection of short stories by Michael Gilbert, called A Pity About the Girl and Other Stories. Last year Robert Hale published Even Murderers Take Holidays and Other Mysteries which contained "twenty-seven previously uncollected short stories" . From Robert Hale: Fourteen previously uncollected short stories with a rich variety of subjects including a ghost story, a spy story and one featuring Sherlock Holmes and Dr Watson, are gathered here to form "A Pity About the Girl and Other Stories". The crimes range from attempted robberies and drug smuggling to murder. Present are some of Gilbert's most remarkable characters such as Henry Bohun, Hargest Macrae Q.C., Nap Rumbold and Commander Elfe. Oxford University Press editor Matt Gallaway's THE METROPOLIS CASE, the sweeping tale of unlikely quartet, bound together by the strange, spectacular history of Richard Wagner's masterpiece opera, Tristan and Isolde, to Suzanne O'Neill at Crown, by Bill Clegg at William Morris Agency (NA). Author of The Secret History and The Little Friend Donna Tartt's new novel, a story of loss and obsession about a young man, guilt-stricken and damaged after the death of his mother, and the growing power that a stolen piece of art exercises over him, drawing him into an underworld of theft and corruption where nothing is as it seems, to Michael Pietsch at Little, Brown, for publication in 2012, by Amanda Urban at ICM (NA). Matt Gallaway's blog is here. Madeley and Finnigan's chat show – renamed Richard & Judy's New Position - is moving in October from Channel 4 to UKTV cable channel Watch, with sponsorship from the Daily Mail. As part of the move it is introducing a new strand to its hugely popular book club, which will highlight 12 debut writers over the course of the year. The Richard & Judy New Writers Book Club will kick off in October with Hillary Jordan's Mudbound, which details the lives of a family on a cotton farm in the Mississippi Delta in 1946. November's choice is The Marriage Bureau for Rich People by Farahad Zama, which sees the retired Mr Ali open a marriage bureau in India. Nancy Horan's Loving Frank - based on the love affair of architect Frank Lloyd Wright and his client Mamah Borthwick Cheney – is December's pick. As with the book club, which starts in January, the titles will be discussed on air by a pair of celebrities. It is pretty incredible, though, that one woman can wield such influence, and Amanda still finds it baffling. 'I sometimes have to remind myself that it's precisely because I am not an expert that this works,' she says. As well as the interview there're details of the first book, Mudbound by Hillary Jordan and how you can win copies for your reading group and also how to buy a cheap copy. Novelist Andrew Martin presents a documentary examining how the train and the railways came to shape the work of writers and film-makers. At the beginning of the railway age, locomotives were seen as frightening and unnatural - Wordsworth decried the destruction of the countryside, while Dickens wrote about locomotives as murderous brutes, bent on the destruction of mere humans. Martin traces how trains gradually began to be accepted - Holmes and Watson were frequent passengers - until by the time of The Railway Children they were something to be loved, a symbol of innocence and Englishness. He shows how trains made for unforgettable cinema in The 39 Steps and Brief Encounter, and how when the railways fell out of favour after the 1950s, their plight was highlighted in the films of John Betjeman. Finally, Martin asks whether, in the 21st century, Britain's railways can still stir and inspire artists. The first showing is 9pm Thursday evening but there are several repeats and presumably iplayer if you don't get BBC4. I've also discovered an interview with Andrew Martin on his publisher, Faber & Faber's site. and Sunnie Gill reviews Rebecca Tope's A Cotswold Mystery which is now out in paperback. 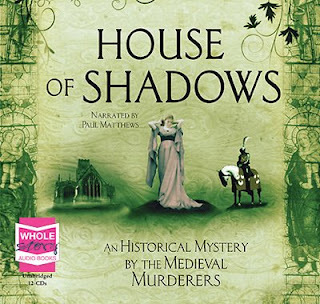 I wonder if her heroine ever meets famous Cotswold sleuth, Agatha Raisin? I'm always lagging at least a week behind with my tv watching and the other night I watched half of Poirot: The Third Girl which was on ITV1 last weekend followed a bit later by the (fairly awful*) series opener of Bones, Yanks in the UK. Not only did both shows use the same stately home, or at least the hallway but they shared an actor: David Yelland went from being Poirot's butler George to Duke Gerard Bonham in Bones. *This is the hire car the Americans were given - a H reg (old registration) mini... (look how shiny it is!) It does provide the funniest line from Booth (David Boreanaz) when trying to get out of the back seat: "Geez, getting out of this thing is like being born." Michael Connelly has won the 2009 Carvalho Prize and will accept it during the BCNegra crime festival in Barcelona, Spain, next February. The jury consists of Spanish writers, booksellers and journalists. The prize is named for [sic] a literary private detective, Pepe Carvalho, created by the late Manuel Vázquez Montalbán. Connelly's new book, The Brass Verdict (Little, Brown, $26.99, 9780316166294/0316166294), is being published October 14. Find out who's been raiding the biscuit tin. 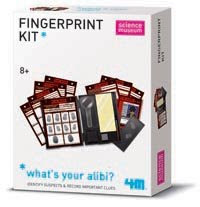 This detective's kit contains all you need to find and record fingerprints, including dusting powder, fingerprint record cards, stamp pad, magnifying glass, stickers and a brush. Supplied in a handy case with instructions and fun facts. Become an amateur detective. Learn how to search for clues and solve crimes using scientific methods. 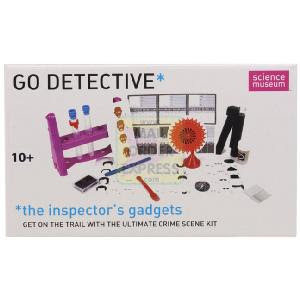 Includes over 65 fun activities to help budding super sleuths make use of the smallest details and clues to come to the right conclusions.